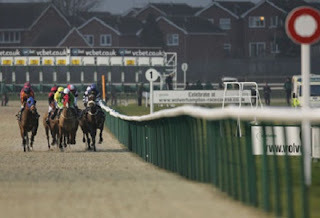 The Book Tickets at Wolverhampton-Racecourse.co.uk Handicap (5.20) is, at best, a moderate contest, in which it may be worth taking a chance on course and distance winner Zapateado. The Zoffany filly won a similar egg-and-spoon race, off a 6lb lower mark, for Richard Hughes here in November and, although her subsequent efforts in claiming and selling company were less encouraging, she appeared to show some improvement on her debut for Karen George at Lingfield earlier this month. Although only fourth of eight, she was only beaten 1¼ lengths in that 0-70 contest at odds of 66/1, losing two places close home. On her final start for Richard Hughes, she finished last of five, beaten 12½ lengths, in a seller over course and distance, so her most recent effort represented a huge improvement. Dropped back into 0-60 company off a 2lb lower mark, she looks to have every chance of regaining the winning thread. 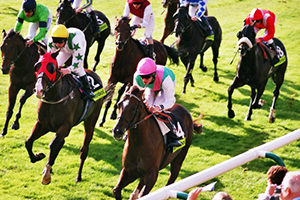 Tom Marquand takes over from 5lb claimer Rhiain Ingram, which cannot be viewed as anything but positive, so Zapateado must have a sporting chance at decent odds.